The July 9, 2015 issue of the Troy Times-Tribune is now available. 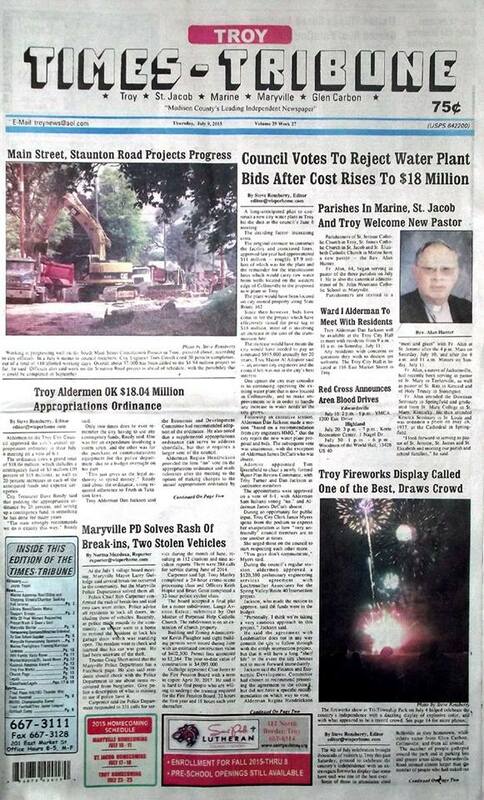 Some of the headlines in this issue: Council Rejects Water Plant Bids After Cost Rises, Parishes Welcome New Pastor, Troy Aldermen Approve Appropriations Ordinance, Maryville PD Solves Rash of Break-Ins, Troy Fireworks Display Is One of the Best, Marine Board Approves Gazebo Roof Painting Plan, Cindy Winters Asks for Prayer in Wake of Court Finding, Triad Places Four on All-MVC Softball Team, Football Knights to Face Familiar Foes in 2015; plus we have our usual “It Happened Here” page, an editor's column about motives and the insanity defense in a court of law, and a whole lot more! 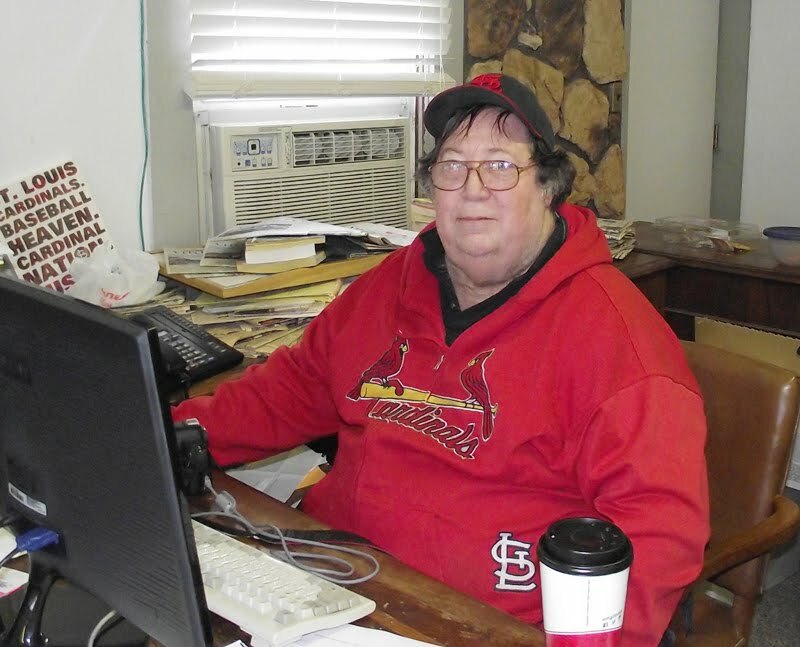 This issue has an obituary for Joyce Yount.